At DGMT we often talk about the importance of reading, of ensuring that children are ready to read when they go to school. We believe it is a key strategy to change South Africa. Over the last five years we have shared the statistics and the facts that make the case for reading. We have shown how ordinary people can help children to love reading, and recommended strategic approaches for non-profit organisations, the business sector and government to work together to help South Africa develop a culture of reading. Beyond providing information and ideas, we have tried to speak to the hearts of people – that is the seed from which real change grows. Our latest publication, “A Story-Powered Nation”, examines the power of reading. 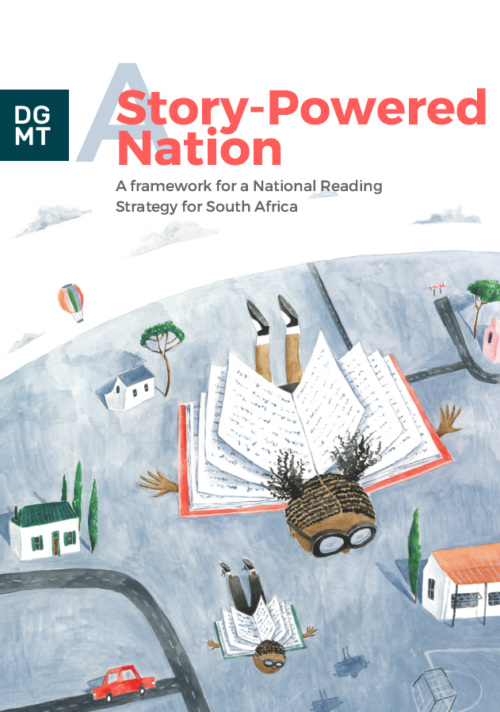 It paints a vision of a reading nation and offers a road map of how we can get there: by nurturing and investing in story-powered homes, schools and communities across South Africa. 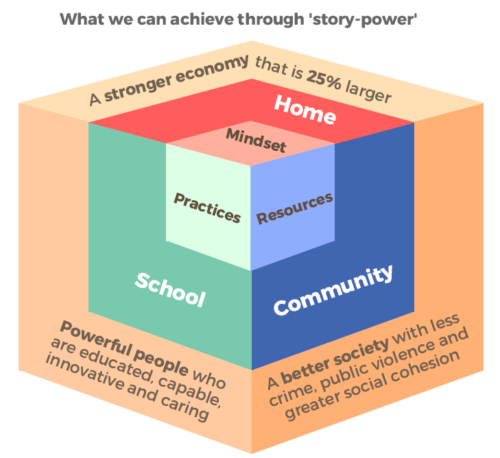 Specifically it focuses on the mindsets, practices and resources that we need in order to bring these story-powered homes, schools and communities to life. To take advantage of ‘story-power’, the things we need to do are surprisingly simple. They are summarised in this document for the benefit of individuals and organisations that share the vision of a Story-Powered Nation. Working together, we can transform ourselves into a Story-Powered Nation. We can create a society where all children hear stories from birth, are motivated to read and enjoy reading. We can nurture a generation of children who experience reading not as a difficult chore, but as a joyful, rewarding exploration of the world. A generation who are motivated, inspired, enabled and supported to reach their full potential – and who use that potential to help build a better society and a stronger economy. It will take commitment, political will and large-scale cooperation across sectors, departments, organisations and people. There is a role for each and every one of us to play. The rewards will be big.